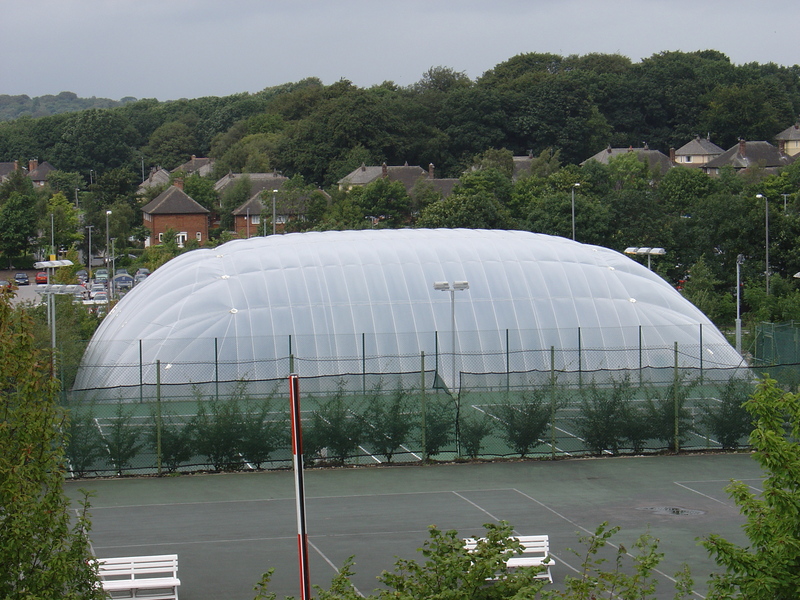 Football Air Domes are inflatable building structures which can be constructed over outdoor football pitches as well as other sports facilities such as tennis courts and swimming pools. These versatile air inflated domes are affordable, high quality structures which allow any outdoor sports facility to be transformed into an all weather area which can be used all year round and at all times of the day. For more information on the prices for these products please get in touch with our team and we’d be happy to give you some advice. Just use the enquiry form to speak to us and let us know what kind of structure you need. These inflatable sports domes can be constructed and installed to a range of different dimensions and specifications depending on the individual requirements and area sizes of each project and each different sports facility, as well as costs and budgets. The sports structures can be an all year round facility, or they can be set up temporarily for the winter to allow coaching and playing to continue during wet weather or snow, and then taken down in the summer months. The surface of these football air domes is translucent, meaning that natural light can pass through it during the daytime, so there is no need to use artificial lighting when the facility is being used through the day. However artificial lights can be installed to allow the facility to be utilised for evening training sessions and matches, this helps to increase revenue for the organisation as it increases the amount of time that the sports surface can be used for. Inflatable football air domes are becoming very popular at schools, colleges, leisure centres and sports clubs for this reason as the sports structures are a great way of generating this extra income. The costs involved with installing these semi permanent Multisport structures can vary greatly between £80k and £700k depending on a whole host of factors including area size and location of the project, the different sports being used within the air dome and the type of structure you require. We will be available to discuss these costs and prices with you and try to find a product which suits your requirements and budget while still providing the best quality sports facility for your organisation. We can also assist you with advice regarding getting financial help for your football air dome construction project through funding grants and finance plans. For more information on this or to submit an enquiry, please fill in our contact form with your details or visit our website at https://www.sportsandsafetysurfaces.co.uk/ for information about our other products and services. If you found this post on inflatable sports air domes helpful, please share it and leave a comment below, thank you! « What Are Sport Facility Air Domes?